The group at Pennsylvania Ave & North Ave has the cut one of the fire department's hoses while they are attempting to put out a fire.
.@Mimsical I'm good. Phone was dying and things seemed to be escalating. CVS at Pennsylvania and North is still on fire. Police on all sides of the intersection as fire dept works on it. 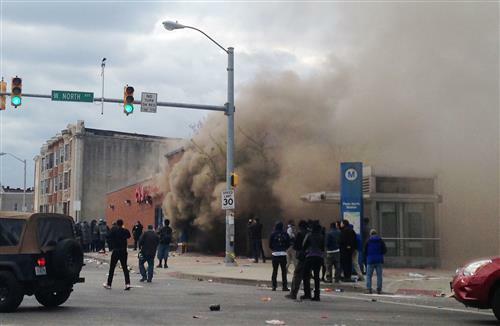 CNN guy reporting from one corner declares Baltimore is "a city out of control." I guess since he knows everybody, he must be right. Of police, "If they don't stop what they're doing, I don't care if they call Jesus or the law down, they're going..."
..." They're going to see a side of them they wish they never brought out of them," Joe Lewis says. baltimoresun.comSchool systems around the Baltimore region have canceled field trips into the city, citing the potential for continued disruption and violence. 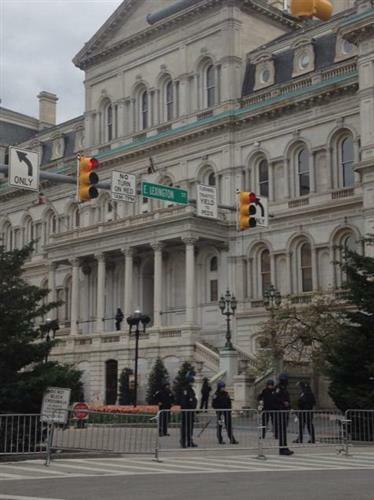 City sheriff's deputies standing at each corner of the courthouse buildings on Calvert Street downtown. 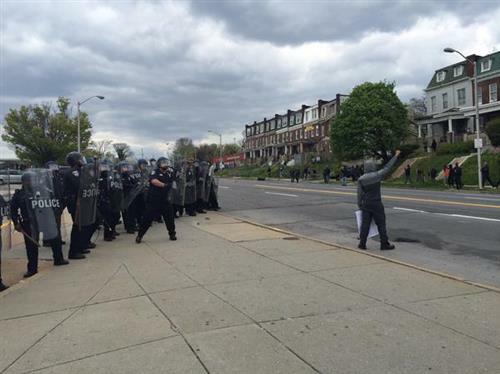 A violent and aggressive group has now moved to the area of North Ave and Smallwood St. Motorists should avoid this area. Dirt bike riders are riding, popping wheelies, up and down Eutaw Street next to a line of busted up stores. A group of violent criminals have set a car on fire at the intersection of North Avenue and Pulaski Street. We continue to ask motorists to avoid North Avenue in west Baltimore. 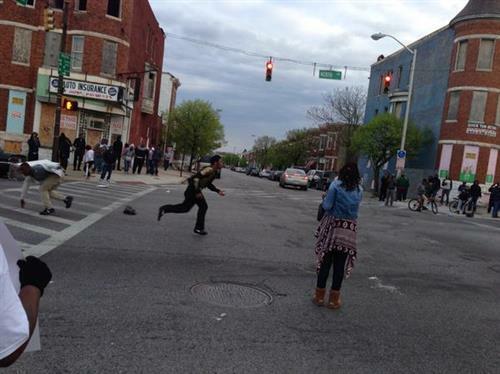 Several people are blocking traffic and damaging property / cars. City Council President Jack Young: "I am asking all of you out there looting to stop it. Please stop it. 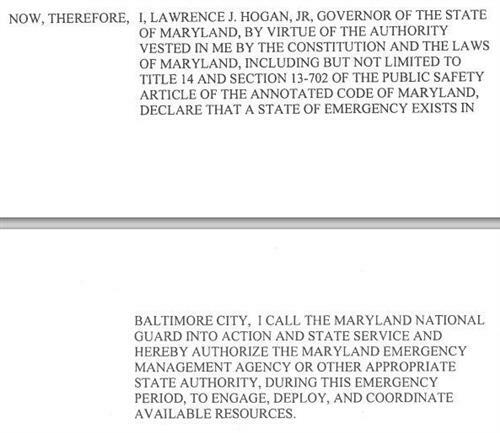 It’s hurting the city of Baltimore in more ways than one. We you loot the CVS store that means that your relatives who work in those stores can’t go to work, so they can’t get paid. There’s a ripple effect. This has gone from being a protest to rioting. This is not the protesters. 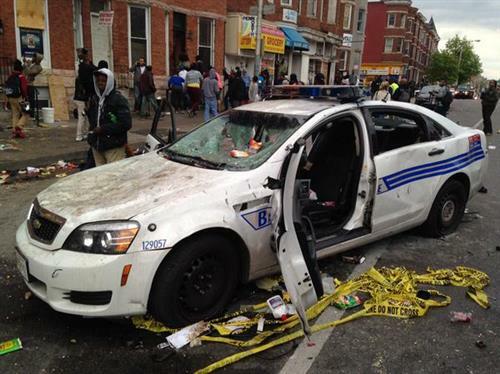 These are people rioting and destroying property and looting. We have to put an end to it.” "
Everyone I see tonight ends the conversation with "be safe." City Council President Bernard C. “Jack” Young called for the violence to end, and invoked the riots of 1968: "We destroyed the infrastructure in our own communities." 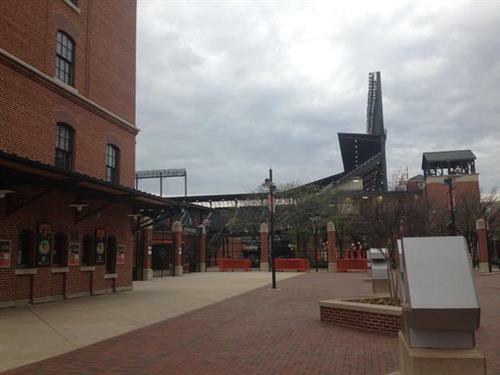 "The whole world is watching us in Baltimore," he said. "It is a crying shame." 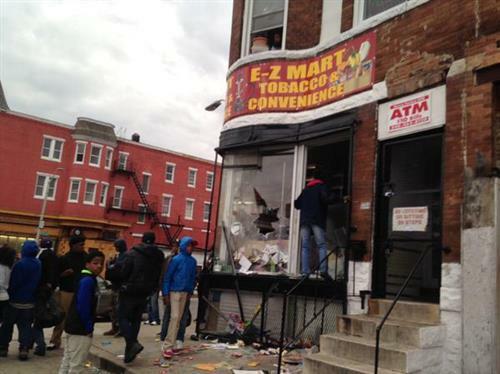 Mayor Stephanie Rawlings-Blake is scheduled to hold a press conference at 7:45. 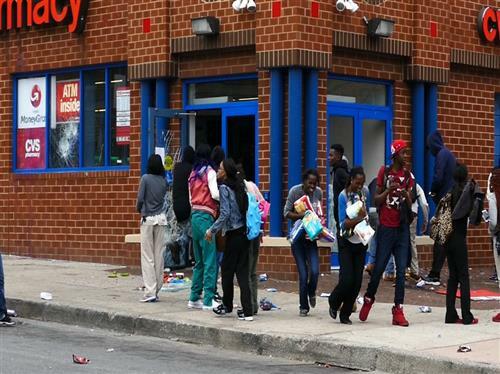 We have reports of several people inside Mondawmin Mall looting and destroying property. We are deploying resources to the area. Boarding up businesses on Eutaw. 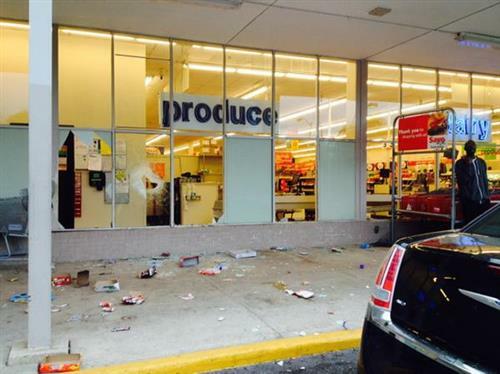 VIDEO: Several rioters loot a neighborhood CVS drugstore. Dirt bike rider, up and down Eutaw Street. The kids running across the street just broke into this store. A kid says, "Man I keep cutting my hand."